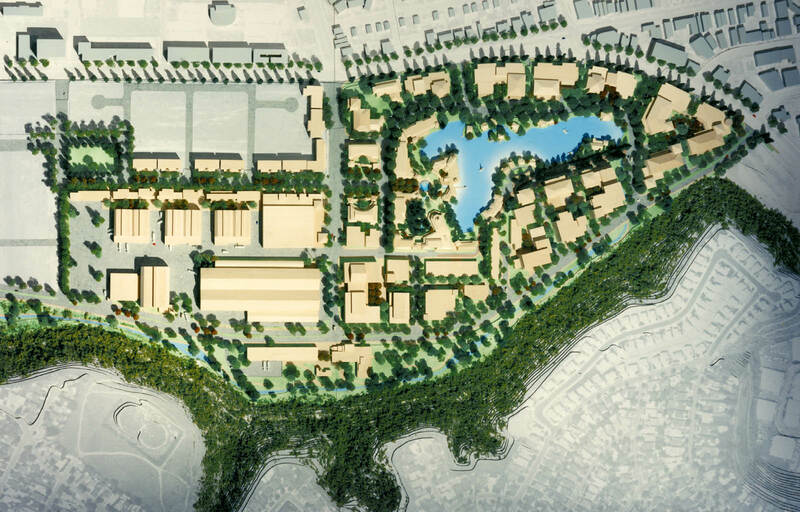 Johnson Fain was retained to prepare overall development concepts for the new studio facilities of DreamWorks SKG as the focus of a 100-acre Entertainment, Media and Technology District in the new planned community of Playa Vista in Los Angeles. As the first new motion picture studio in Los Angeles in over 60 years, emphasis was placed on providing the most advanced information technology. 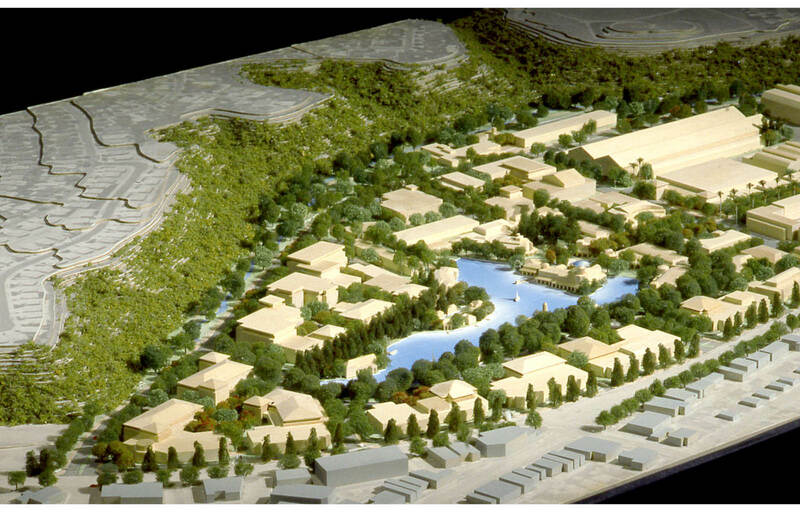 The development concept placed this high technology infrastructure within a soft-edged, low-rise, heavily landscaped parklike setting, siting over three million square feet of buildings around a serpentine lake. 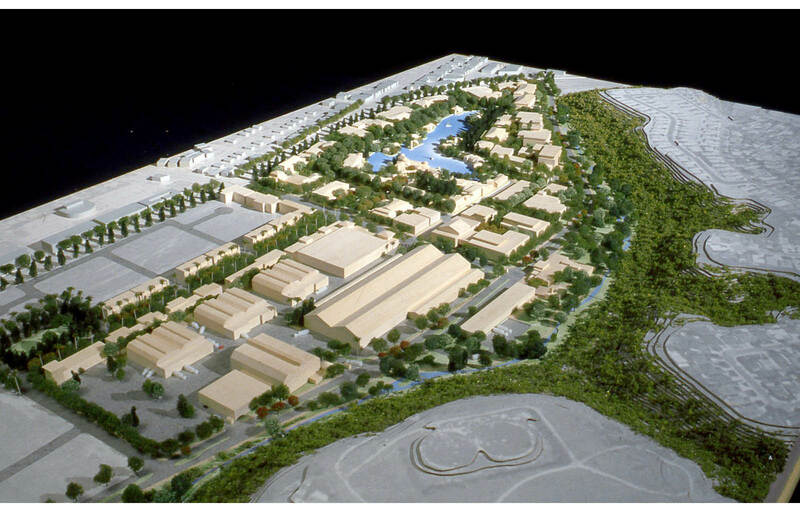 Other entertainment and technology businesses are accommodated space within the plan to share the studio campus with DreamWorks SKG in an atmosphere of creative collaboration. 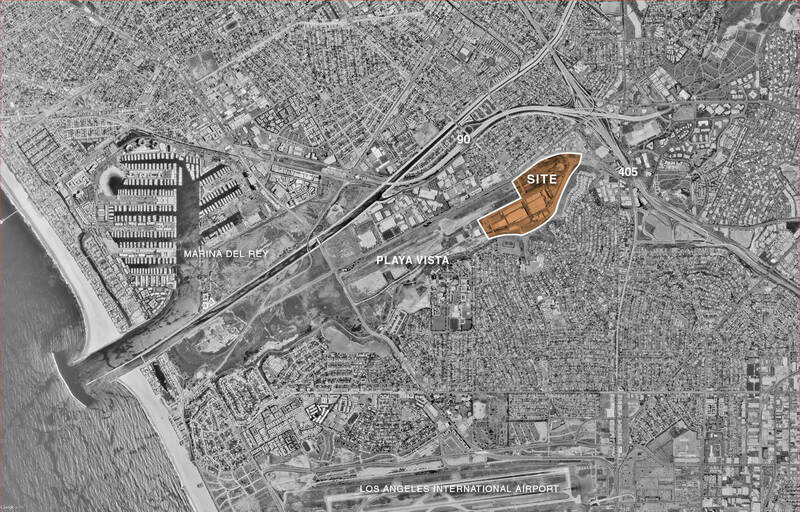 The studio plan celebrates its origins in two of Southern California’s mythic industries of the past—aircraft and cinema—and to herald the coming of age of the region’s hallmark industries of the future—multimedia entertainment and communications technology. 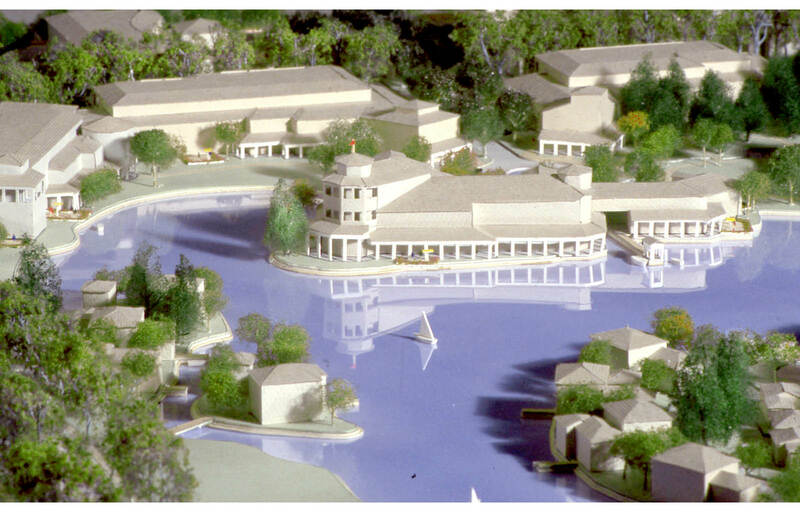 The campus setting is built upon the rich lore of the site’s history from its early associations with Harold Ince and Howard Hughes, and celebrates its past and future associations with the creators of kaleidoscopic achievements in American popular culture, from Hughes’ “flying boat” to Apollo 13 and E.T. : The Extraterrestrial. 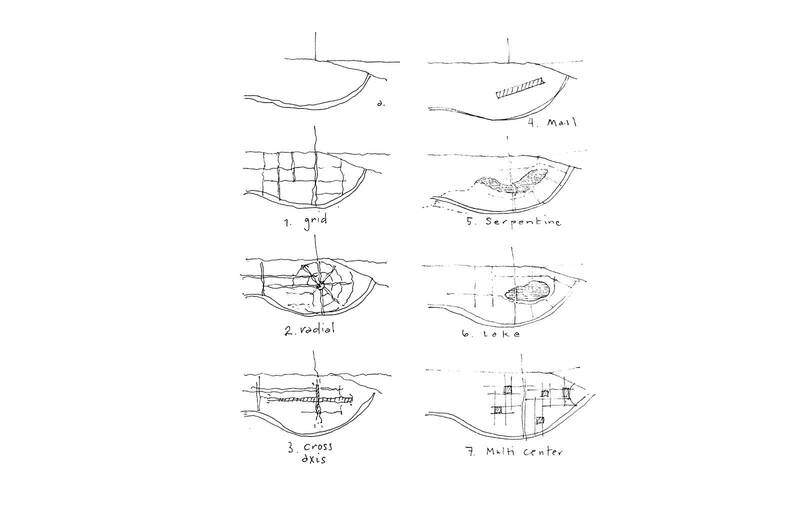 The design framework for the Entertainment, Media and Technology District was specifically scenographic, that began with experiential points of view and exploits the principles of perspective and scale to enhance the illusions of distance and open space within the site. Because the experience of viewpoints were different from various locations on the site, special attention was focused on the continuity of imagery and the relative part each building and space plays as the point from which a person views the surrounding site, as well as the role it played as an object or space to be viewed. It is a small step from scenographic site design to cinematographic production design techniques. 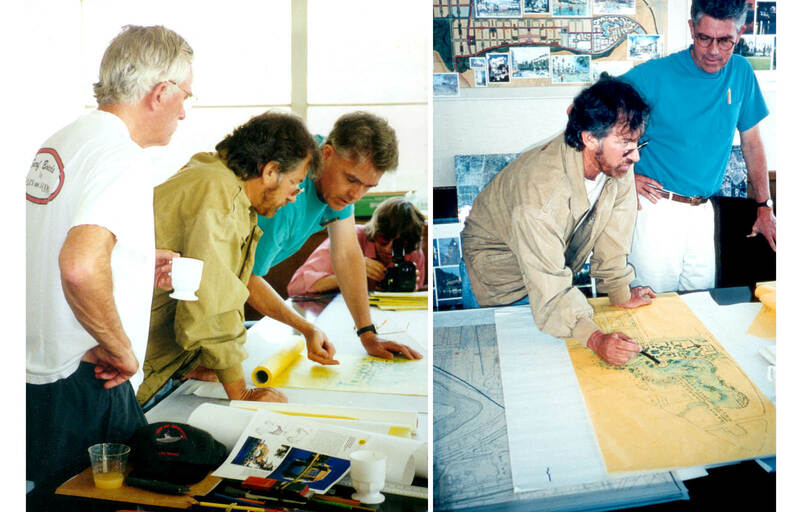 The two approaches, from two distinct disciplines, were closely linked in both intent and technique, and the guidelines for the design of the campus drew equally from both.